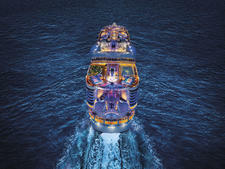 What activities are offered for kids and teens on cruises? Cruise ships make for terrific family vacations because they have lots of activities and entertainment for kids and teens. In addition to attractions such as swimming pools, water slides, mini-golf, ping pong and Broadway-style shows, all mainstream cruise lines (and some luxury ones) offer kids clubs: separate youth facilities with age-appropriate games and programming. The kids clubs are staffed by youth counselors, meaning that parents can drop off their kids to have some adult time; no need to stay with their children. Kids also like that they can play with other similarly aged children and not have to spend every moment on vacation with older or younger family members. What ages of kids can go to the kids club? Most cruise lines offer programming for kids ages 3 to 17; however, any preschoolers coming to the club must be toilet trained. Carnival is the exception, offering activities for children as young as 2 years old and taking kids in diapers. Most lines are firm that once your child turns 18, he or she cannot participate in the kids clubs, even if still in high school. Typically, the kids will be divided into age groups, often 3 to 5, 6 to 8, 9 to 11, 12 to 14 and 15 to 17, or some variation thereof. When fewer kids are onboard, the lines will often combine age groups together. 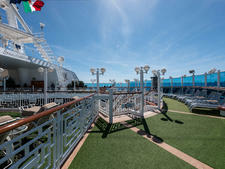 Cruise lines differ on how they handle babies and toddlers too young to attend regular, drop-off kids club activities. Some lines, such as Disney and Royal Caribbean, have dedicated nurseries, where parents can pay for group baby-sitting in a safe play space (with nap areas). Other lines, such as Norwegian and Princess, have a play space for under-3s, but parents must be present at all times to supervise their little ones. Some cruise lines will offer special activities for parents with toddlers, either in the kids club or another public space, or offer free play sessions in the kids club that parents can attend with their little ones. What are the youth facilities like? Kids clubs, especially on the newest cruise ships, are pretty cool. They're usually done up in bright colors with kid-sized tables and chairs, plenty of toys and arts and crafts supplies, big-screen TVs for movie viewings, and computer consoles for video games and Internet use. (Most lines make sure that video games are age-appropriate; Carnival, for example, only offers games rated E for everyone.) Cruise lines with a brand partnership (such as Royal Caribbean's partnership with DreamWorks or Norwegian's with Nickelodeon) will incorporate favorite TV and movie characters into the kids club decor. Kid spaces will also have kid-sized bathrooms. Teen and tween lounges often have comfy couches and seating for hanging out, "mocktail" bars for getting soda and nonalcoholic fruity drinks, Internet/video game areas and a dance floor. 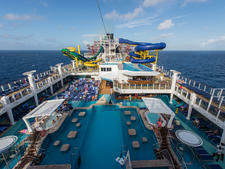 Some cruise ships will have outdoor play areas for kids or sun decks for teens; some may even have a kiddie splash pool. Often, the cruise ship's all-ages arcade will be located adjacent to the kids club. What activities do kids do in the clubs? 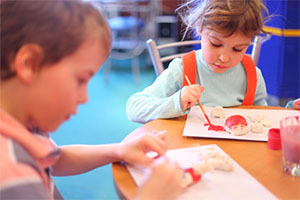 Kids clubs host a wide array of activities, and all kids will receive a special daily newsletter with the day's programming by age group (or you can pick one up at the club). Activities might include arts and crafts, sports tournaments, scavenger hunts, karaoke, pool parties, trivia and games, and evening theme parties. Some lines will offer backstage tours, cooking classes or even science experiments. Are the activities supervised? Or are my kids free to roam the ship? Kids' activities are supervised by the youth staff; teen activities are often more loose, but counselors are always present in the teen lounge. The littlest kids need to be signed in and out of the club by their parents, but older kids and teens can sign themselves in and out, so it is possible for your kid to leave the club and wander the ship by him or herself. What are the hours of the kids club? Exact hours vary by cruise line, and by day, but general hours tend to be 8 a.m. or 9 a.m. to 10 p.m. or 11 p.m., often with breaks for lunch and dinner. On port days, some kids clubs open a half hour before the first tour departs. However, lines vary in whether their youth staff will watch your kids while you're off the ship, or whether one parent must be onboard with their children. Teen activities usually run until 1 a.m. or later. In addition, most lines offer late-night group baby-sitting (sometimes referred to as "parties") in the kids club for kids ages 3 to 11. These usually run from 10 p.m. to 1 a.m., and might include snacks, movies, themed events and comfy areas where tired tykes can crash out. Generally, daytime and early evening activities for kids and teens are included in your cruise fare. You will have to pay extra for nursery time for babies and toddlers, supervised lunch and dinner outings (where offered), and late-night group baby-sitting. Fees are typically $6 to $8 per child, per hour, often with a slight discount for additional siblings in the same family. There may also be additional fees for late pickup or replacing a lost identification bracelet. Will kids get food in the clubs? 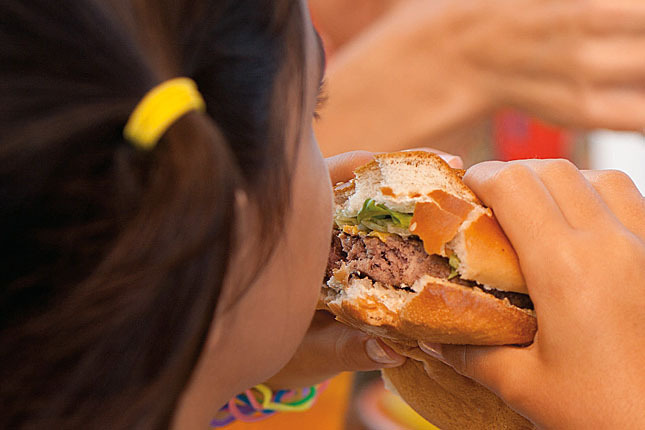 Most cruise ship kids clubs shut down for lunch and dinner, so families can eat together. Some will offer special lunch or dinner parties, as well as daytime or late-night snacks. 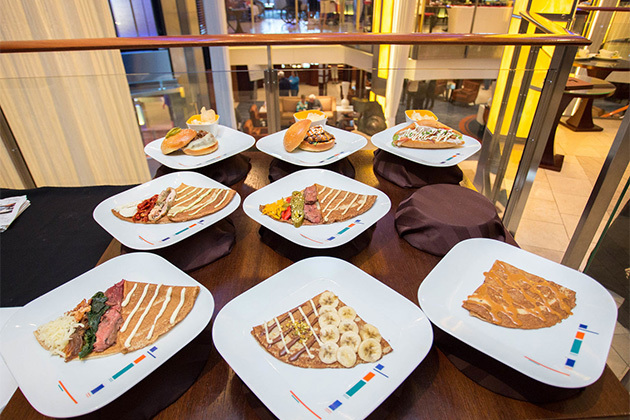 Meals may be taken together as a group at the buffet (or occasionally in specialty restaurants, like Royal Caribbean's Johnny Rockets) or brought into the kids club. If your child has a food allergy, please be sure to mention it to the youth staff. Are my children safe in the kids club? Safety is very important to cruise lines. The kids clubs and nurseries all have gated access, meaning people can't just wander in; both kids and adults have to be buzzed in by youth staff. Parents must sign the youngest kids in and out; older kids can sign themselves out, but cannot leave without alerting a staff member. Some kids clubs use special RFID bands or identification bracelets to keep track of the kids in their care. In addition, some clubs hand out pagers so they can reach parents in case of a problem or emergency. Youth counselors are trained to handle food allergies and medical emergencies; if your child isn't feeling well or is upset, they will contact a parent or guardian. There are sinks and hand-sanitizer stations for cleaning hands. Some youth staff are also trained to handle children with special needs, such as autism. However, there is no one-on-one supervision, especially in some of the larger clubs like Disney's, and youth staff is not responsible for the activities of children or teens once they have signed out of the clubs. It is up to parents to give their children rules for behavior when they are wandering the ship on their own. 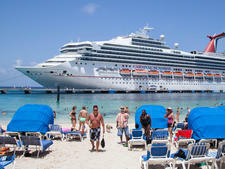 Cruise lines do have rules about behavior -- kids and teens who misbehave (fighting, bullying, etc.) will be warned and then suspended from the kids club for a day, or for the remainder of the cruise if they continue to act inappropriately. Unacceptable behavior outside of the kids club (such as underage drinking) is subject to discipline, including forced disembarkation from the ship at the next port of call. Some lines also have curfews when underage children cannot be in public areas without an adult. What qualifications or training must youth staff have? While every cruise line has its own hiring criteria, most make sure that youth staff have degrees in education, child psychology or related children-focused fields and/or have experience working with children, either as a teacher, coach or daycare provider. All counselors are trained to administer CPR and basic first aid. Most have also worked with or been trained on working with special needs children. Will my kids like the clubs? In general, most kids like the clubs so much that parents have a hard time getting them to leave and spend time with their family! Youth counselors do their best to welcome shy children and get everyone to participate. Some children might want to be in the club all day; others might prefer to attend an activity of interest and then return to their parents. Teens and tweens who are very social might have more fun in the teen lounges than kids less into the "scene" onboard; it often varies greatly depending on whether they find likeminded friends in the club or not. Be prepared that your child of any age might not like the club at first (or at all), but it's often worth trying a few times before dismissing it altogether. If your child does not want to attend the kids club, be assured that there are plenty of enjoyable activities for kids to do outside of the official youth program. 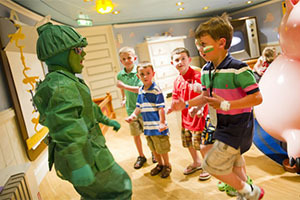 How can I learn more about kids clubs on cruises?